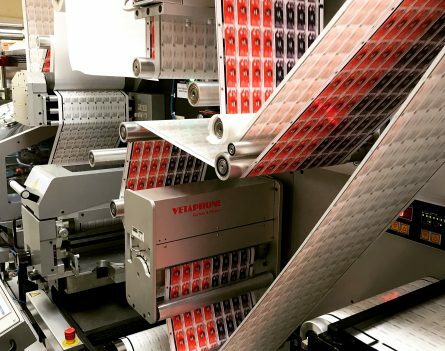 With continued growth in the Chemical, Pharmaceutical and E-Liquid industries we are producing increased volumes of our Peel & Reveal labels. These are available in multiple formats, featuring variable barcodes, data and images making each one truly unique. Additionally, thanks to our specialised finishing equipment, which includes Screen printing capabilities, we are able to incorporate security features, tactile warnings, raised varnishes and effects.